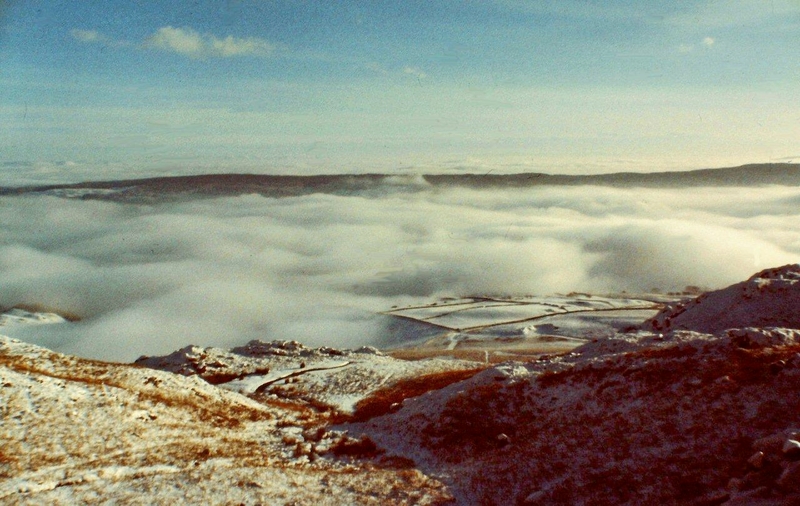 WHEN I was a teenager I made a pledge to climb Coniston Old Man at least once every year because it was the first mountain I climbed and it was special. 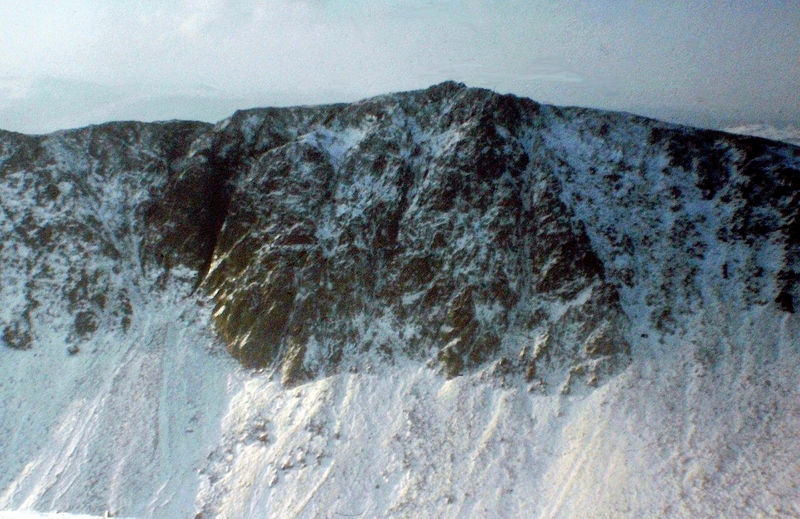 I also grew up within sight of its familiar slopes, so that made it a bit more special. But that was in the days when teenagers smoked Consulate cigarettes, drank lager and lime at 18p a pint, and wore Budgie jackets and Sea Dog jeans. Things change . . .
What do you mean, you’ve never heard of Budgie jackets and Sea Dog jeans? Gerra life. My pledge to climb the Old Man every year was shuffled to the back-burner in 1980 when I made the ascent with my future wife, who complained about her make-up running when we were on the final slog up from Low Water, and she spent the rest of the day muttering just out of earshot. That took the mystique and adventure out of it. Things were never the same again, and I didn’t return to the Old Man until earlier this year. These pictures assembled here, crudely converted from Kodachrome and Ektachrome slides taken on my old faithful Zenit E, date from Christmas Eve 1978 and New Year’s Eve 1979. To revisit them today – on New Year’s Eve 2013 – seems quite appropriate. 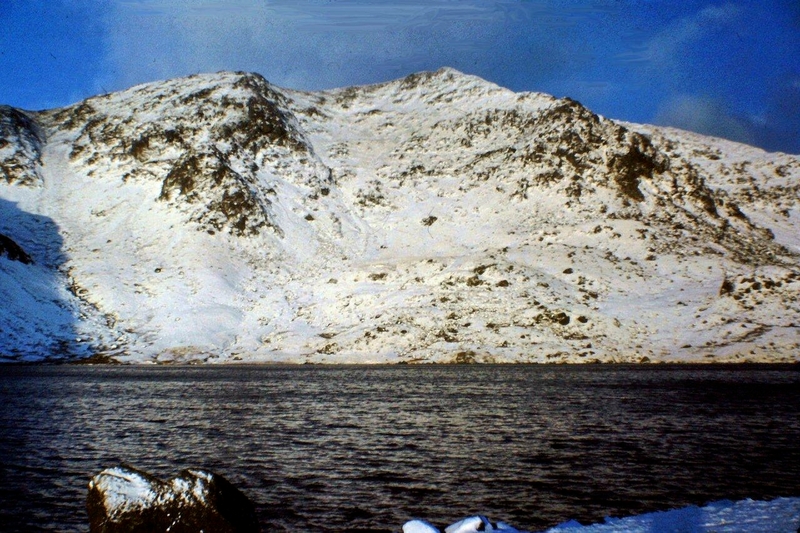 Some were taken on an ascent via Coppermines Valley and Levers Water to the top of Swirl How and along the ridge to the Old Man. 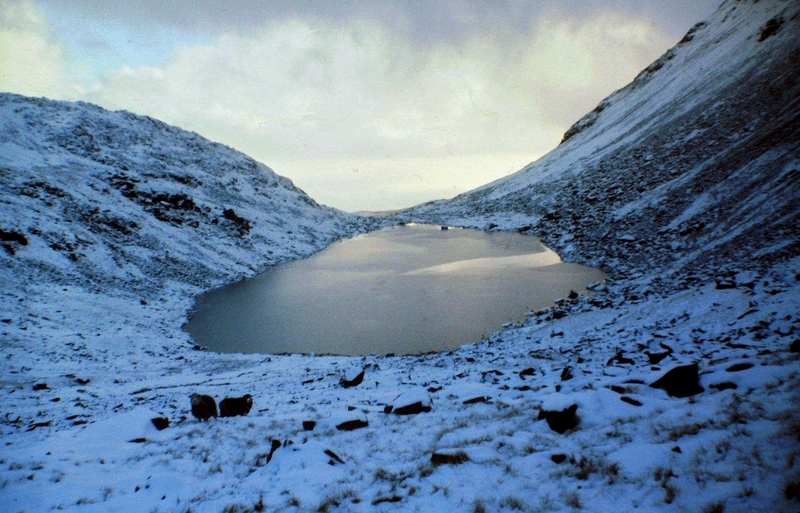 The remainder were taken on a route that circles around the back of the Old Man to Goats Water then onto the summit, in intermittent cloud and occasional blizzards. 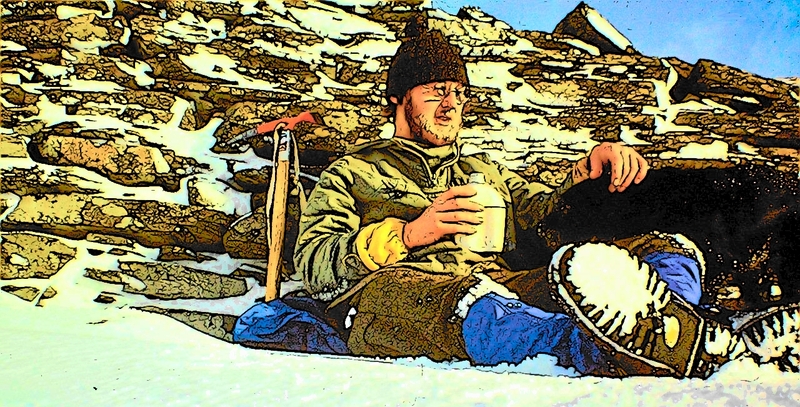 I don’t remember much about either expedition, except on the New Year’s Eve outing I was in a hurry because there was a boozy fancy-dress party that night in the Brown Cow, in Dalton-in-Furness, and I intended to be there. Priorities and all that. So it’s New Year’s Eve 2013 and the world is changing rapidly – at least the bit I’m standing on certainly is. Redundancy is looming and I’m about to be knocked like a snooker ball in a new direction and probably bounced off several obstacles. Thank you all for your advice and comments about being rendered jobless. It is very reassuring and has put me in a more positive frame of mind. There’s a big wide world of opportunity out there, and the last thing I’m going to do is sit at home and stew. Spain looks very attractive to a bloke who’s had a gutful of playing by the rules in a capitalist system that treats you as a resource to be exploited and spits you out when the numbers change, without so much as a thank-you. Sitting in the sun growing cabbages and trekking across the Sierra Nevada would suit me fine. Anne’s keener than I am, by the way – just in case you wondered (keener about sitting in the sun, that is, rather than trekking). 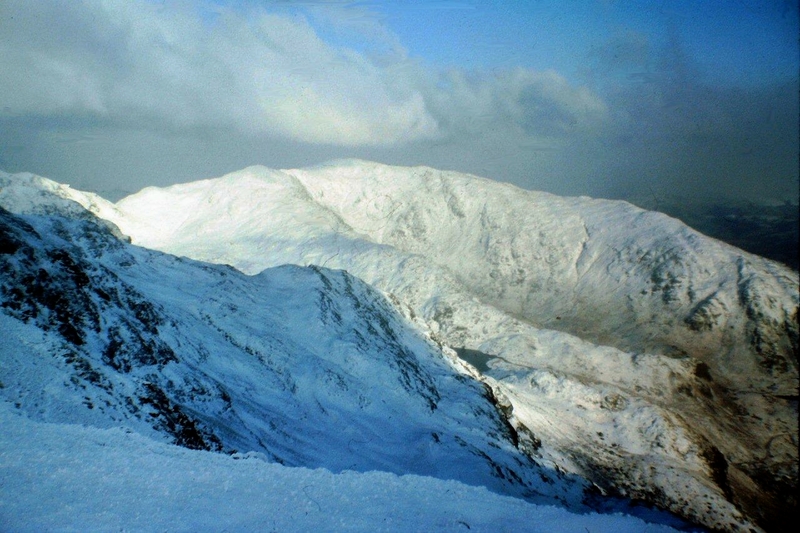 I might resurrect my annual Coniston Old Man climb in 2014 – unless I get bounced across to Spain first. But then I might have to climb Sierra de Lujar once a year – and that’s a bloody sight harder than the Old Man. Believe me. It would even make my make-up run. All the best for the New Year, amigos. 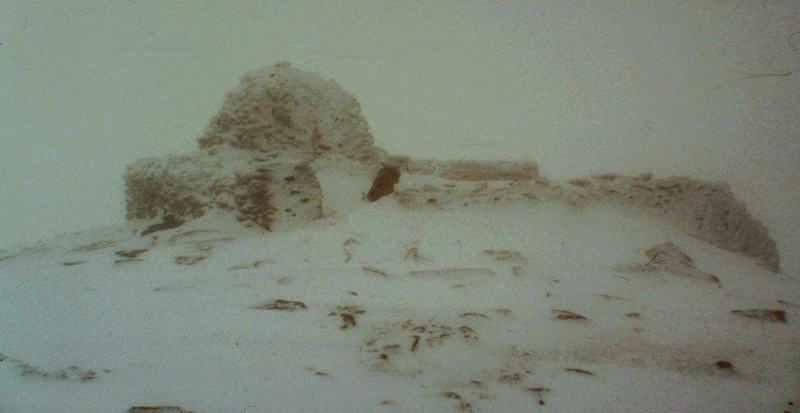 This entry was posted in Allotments, Caving, Childhood, Climbing, Environment, Hiking, History, Industrial archaeology, Life, Mountains, Newsquest, Northern Echo, Politics, Potholing, Redundancy, The Romans, Unemployment, Walking and tagged Cumbria, Lake District, Mining History, outdoors, Sierra Nevada, Sierra Tejeda y Almijara, Spain, The Lakes. Bookmark the permalink. They certainly are bathed in a golden haze, Jo, because they were golden days. I hope that doesn’t make me sound like an old duffer. I’ve just tried the anorak (Famous Army and Navy Stores, circa 1975) and it doesn’t seem to fit any more. It’s a lot shorter than it used to be. I expect the years have shrunk the material. Might have to buy a new one. 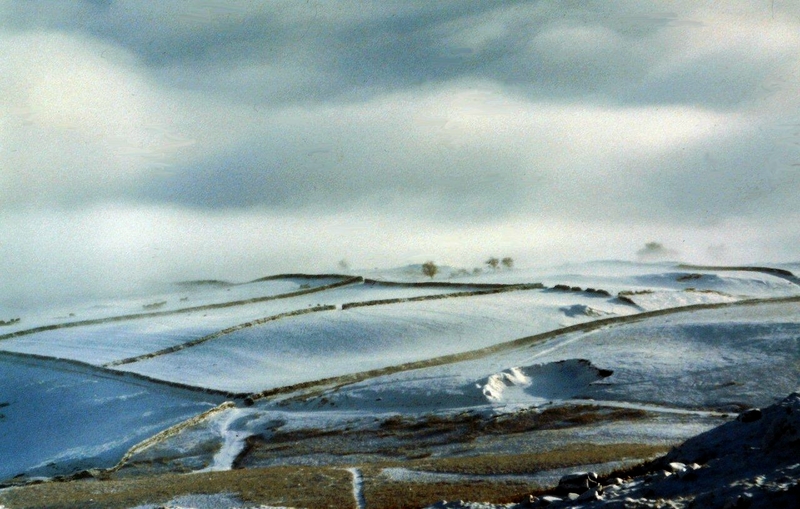 The snowy landscape photo beneath the anorak looks like a 00 Hornby train is about to come through it at any minute. There’s something about the physical quality of old photos that seems to make them more memorable, more evocative, than pristine new ones. I think if you have the chance to move to Spain you’d be mad not to. You might miss the mountains and the beer, but there’s not much else to cherish. Especially now that you can’t buy Budgie jackets and jeans made out of sea bass, or whatever it was. Ha ha. They do have beer in Spain, you know, Chris. It’s not yer old real ale from a firkin but it’s good enough for a man of simple means. Yes, I know what you mean about old photos. I might dig some more out sometime. You mean they don’t sell Adnam’s Broadside over there? Blimey, I might have to have a rethink on this one. Ah this is terrific. I try to hike Mt Washington every year, and the vast majority of the time I do it solo. There’s something terrific about hiking by oneself (Or with one’s dog) that doesn’t really compare to group trips. I loved this. Hi Paintedshepherdess. I totally agree with you. Hiking alone clears your head of all the rubbish you tend to fill it with. I find it very therapeutic. Thanks for dropping by. Mount Washington sounds like a challenge. The Old Man looks beautiful, a great collection of images, Alen. Yes, yes, yes. I like that saying, Hanna, and I shall file it away in a corner of my mind and use it myself when the opportunity arises. And if all your enemies limp, that makes them easier to kick. Oops, I don’t suppose that’s in the spirit of Christmas, but what the heck. Hiya Carol. I hadn’t heard of that mine collapse in Derbyshire so I’ve just searched for it on Google. Pretty spectacular stuff. There must have been one hell of a hole under the ground to have resulted in a crater like that. It makes you wonder just what might be lurking under the surface waiting to swallow you up. The first house I bought, which was in Dalton-in-Furness, was on the end of a terrace – but I discovered that prior to 1904 there had been another two houses joined onto it, but they both disappeared down an old iron ore mine. The Coniston copper mines are pretty spectacular, but also very dangerous. There are places up there that are hundreds of feet deep, with only flimsy fences keeping the public from certain death. Must post some pictures sometime. I’ve loads of slides. 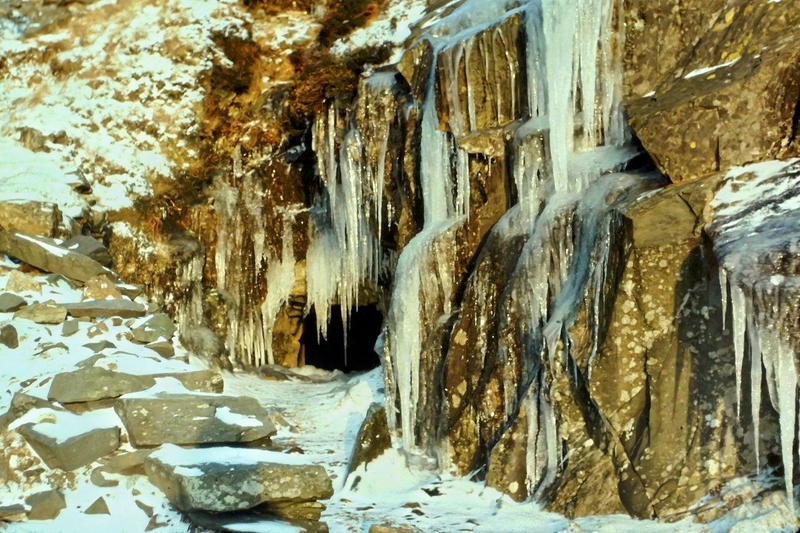 I know not to even go into the start of the mine levels around Coniston Old Man as suddenly you’re likely to be met with a 1000 foot plunge in some of them! Scary stuff about the terraced houses! My old house it still there, so it must be firmer ground it’s standing on. The photos are brilliant! You make me want to run out in the morning & climb Slieve Donard, but the forecast is for even more wind & rain. One of these days, perhaps next year when I reach retirement age, I shall celebrate with a climb or two, just because they’re there! Meanwhile a walk along the towpath will have do for now. Alen, I’ve not been following your post for long but they are inspiring me to do a few hills whilst I’m able. Keep up this wonderful blog. Wishing you & yours a very happy, healthy & blooming good New Year! Hi Ash. Thanks for that. I was over in the Mourne mountains earlier this year and nearly climbed Slieve Donard myself. I got a couple of walks in, but Slieve Donard will have to wait for next time. All the best to you too, and get your boots polished up ready for retirement. Hi David. It does you good to jog the old grey matter now and again. All the best to you too. It is great to look back at old photos.I don’t have many from early walking days. To me then, cameras + film were an expensive luxury and I spent my hard earned on walking boots and the like. Pity because I only see those pictures in my head! I do however remember Budgie jackets, but not Salt Dog jeans. Great the 70’s – simpler times, I don’t think we have progressed always for the better, but I am sure every generation says that about their formative years! Hi Mark. I’m glad someone remembers Budgie jackets. I thought I was imagining them for a moment. But I’m sort of glad I haven’t got an old picture of me wearing mine. Yes, I enjoyed the 70s. But like you say, I’m sure every generation thinks the same of the era in which they grew up. See link. http://www.inthe70s.com/clothes/budgiejacket0.shtml I now remember they were named after that excellent series with Adam Faith as Budgie. Wow. There’s almost the makings of a fan club there when you read those comments. Yes, Adam Faith in Budgie – 1971-72, according to Wikipedia. Blimey, it’s longer ago than I thought. I thought the series was 73-74 but maybe I saw the repeats. Still have one of those hairy balaclavas myself for when the weather is really bad ! Spain sounds really tempting during this awful spell of bad weather I must admit. Have you ever been up a hill called El Lucero on your Andalucian travels ? I`ve been looking over at it a few times and it has a nice pointy top on it from the Malaga side. Hi Alex. Good to hear from you. Yes, I climbed Lucero last year from the Granada side and it’s a great mountain with spectacular views. I believe it can be done from the Malaga side, but it’s a hell of a slog with a very steep ascent right at the end. If you drive around the back to Bermejales reservoir, a series of dirt roads that end at an old marble quarry deliver you right to its foot. 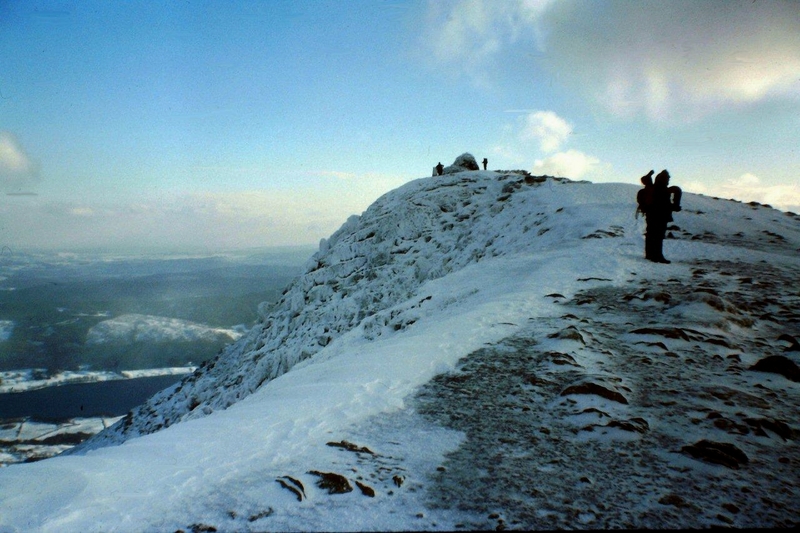 From there it’s a leisurely climb – exposed in places – to the summit. The drive is much scarier than the climb, by the way. If you want road directions I can email them. Alternatively, it might be worth trawling the internet for a route from the Malaga side. Bloody hell that wooly hat could have been mine! My aunty Kath knit me one but it was red. Father in law said I looked like a puch match. ( I was thin in those days). I can see the attraction of a change of scene Alen and this could be an opportunity. I left a job after 21 years and looking back wonder how I stuck it so long. Never heard of those jeans, you must have been a hippy! I wore 22 inch parallel Fulmer jeans and Dr Martin boots. These were worn flat on the bottom as the brakes on my scooter were poor. Ha ha. I must admit, Greg, after the Budgie jacket phase I did gravitate towards the hippy gear – more of a “greaser” than a hippy, though. Long hair, German army trench coat, patched jeans, John Lennon specs, that sort of stuff. Very few photos exist. I have this fantastic mental picture of you tearing around Tebay on your scooter in your baggy jeans and Dr Martins. I wouldn’t be surprised if they’re still wearing stuff like that up there even now.